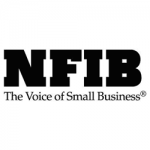 For the best marine canvas, flooring, detailing, boat maintenance, and boat seat covers in Leesburg, FL, you can come to Marine Essentials, LLC, a woman-owned business. Since 1992, we have helped local boaters protect their investments. As a 5th generation Floridian, our owner understands Florida and what local boaters need out on the water. In addition to being active in the marine business, everyone on our team owns their own boat. 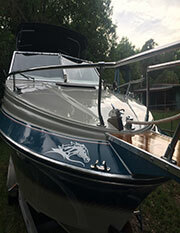 With more than 30 years of experience working with custom marine canvas in Leesburg, FL, as well as other marine services, you can rest assured that we will provide you with everything you need for your boat. Members of our team have worked building boats, as well as performing mechanical repairs, which means we know the ins and outs of boats. Our goal is to protect your investment, protect your family, and protect you from the elements. 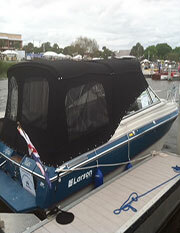 We offer protection and make sure your boats last a long time. 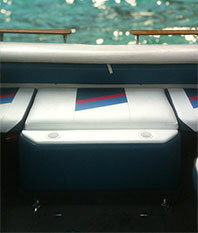 Contact us to inquire about marine vinyl in Leesburg, FL, in addition to our other services. As a one-stop shop, you’ll have convenient access to the tools and resources you need to keep your boat protected properly for years to come. We educate all of our customers and focus on preventative care to minimize the possibility of future issues. While other marine shops may not value your time, you’ll no longer have to worry about missed deadlines or verbal promises. We provide you with a written estimate, contract, and a guaranteed date when your boat will be completed. Our shop is based in a clean, well-maintained, safe & secure building. When you do business with Marine Essentials, we protect your vessel by locking it in a safe warehouse. All of the work is performed by skilled experts. Our designers have been in the business for over 30 years, we're on time, on budget. 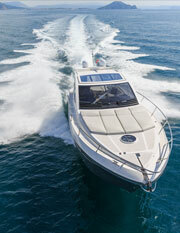 If you're a SeaTow or BoatUS member, we offer an additional 5% off any of our services. 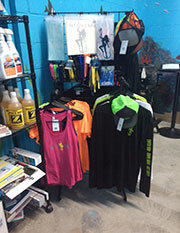 Contact us for more information on our marine store. While our office is located in Leesburg, FL we serve customers in Lake, Marion, Sumter, Orange, Seminole, Citrus, Polk, and Osceola Counties. Mark just finished our 43 Silverton. Full top and side curtains on the fly bridge and all new side curtains on the cockpit. New helm cover and bow sun mat cover. Mark did an excellent job. If you ever have any questions about Marks' quality of work please call. You will get nothing but praise from us. Thanks Mark for an awesome job.